Another Institute of Pacific Relations activist in Wellington and associate of Sutch and McIntosh, was was Ian Milner. Born in 1911, Milner was the son of Frank Milner, longtime rector of Waitaki Boys High School. Milner senior was an early IPR activist, but firmly on the British Imperialist wing. Frank Milner was in close contact with the British "Milner (no relation) Kindergarten" crowd and a strong advocate of a "New World Order", while George Bush Snr was still a toddler. Milner junior made lifelong friends at Waitaki, including poet and Charles Brasch and James Bertram, future Rhodes scholar and toiler for the revolution in China. Entering Canterbury University College in 1930, Ian Milner mixed with the local radical set and joined the local branch of "Friends of the Soviet Union". Canterbury Uni readers might be interested to know that Milner named the student paper "Canta" and edited it in 1932. In 1933 he served on the students association executive. Many years later, Milner told "Canta" journalist Andrew Cutler, that he, Milner "became involved with socialism at Canterbury and developed his Marxism at Oxford"
The young radical wasted no time at Oxford and by September was on his way to the Soviet Union. The trip was brief, with two days in Leningrad, 10 in Moscow, and stopovers in Kharkov and Rostov. He was accompanied by his friends Brasch and Bertram. James Bertram was later a journalist in Spain and was then sent to China by Lord Milner. There he interviewed Mao and was close to NZ communist, Rewi Alley, who was in turn associated with Agnes Smedley, a probable member of the famous Sorge spy ring. Further articles for "Tomorrow" followed, detailing trips to Austria in 1935 and 36 to meet local Communists and reports on the communist rallies Milner attended in various parts of Britain. Before returning to NZ, Milner spent part of 1938/39 at Universities in California and New York on a Commonwealth Fellowship. Also included was a stint at the New York headquarters of IPR. Returning to NZ in 1939 he joined the staff of the NZ Council for Educational Research, in Wellington and became involved in the local IPR. With help from Sutch, Milner wrote a book for the IPR entitled "New Zealand's Interests and Policies in the Far East". After the outbreak of war Milner proved his dedication to the Communist line on the Hitler/Stalin Pact, by helping to weaken the Allied war effort. He became Secretary of the "Wellington Peace and Anti-Conscription Committee"- a well known communist front. This annoyed his more patriotic father, who wrote to a friend: "He (Ian) is still on the extreme Left and is not open to reason about the Labour programme in NZ or about British policy. He is in the heart of the most radical set at Victoria College - Prof. Beaglehole, Dr Sutch and all the Bolshies. He now says he won't enlist because he cannot trust the British Fascists in power to really wage a war against Hitler! He approves of the Soviet,s policy and still praises Stalin." 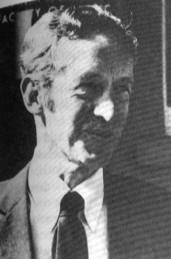 Under government pressure over his subversive activities, Milner crossed the Tasman and in 1940 became a lecturer at Melbourne University. He also became a member of the University's Communist Party branch. In 1944 Milner joined Australia's Department of External Affairs in Canberra. In 1945 he represented the Department on the newly established Defence Post Hostilities Committee, a job which gave Milner access to top secret reports of the British Chiefs of Staff Post Hostilities Planning Staff. Contents of one of these papers, while supposedly in Milner's possession, appeared in intercepted radio traffic between the Soviet Embassy in Canberra and Moscow. 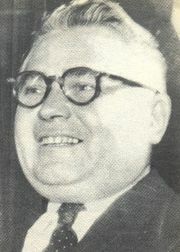 In 1946 Milner was edged out of the Department because of his communist links and in 1947 took up a position with the UN in New York. In 1940 MI5 in Britain interviewed Jim Hill, brother of communist leader, Ted Hill, a former pupil and External Affairs colleague of Milner's, about passing information to the Soviets. One month later Milner left his UN post to holiday in Switzerland. He then crossed the border into Czechoslovakia, where he secured a post at Charles University in Prague. Milner nestled, secure and obscure, in Prague. 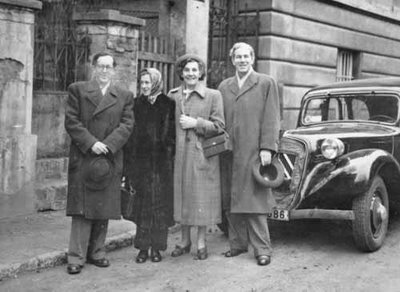 In 1954 MGB (Soviet Intelligence) agent Vladimir Petrov and his wife Evdokia defected from the Soviet Embassy in Canberra. Petrov confirmed, to Australian security, that Milner had been "an important agent" of the MVD, his code name being "Bur", Russian for Bore. Petrov added that in 1954 Moscow had cabled him to make enquiries about Milner's standing in External Affairs. Evdokia Petrov claimed that this was because Milner wanted to return to NZ and Moscow wished to plant him as an agent there. Milner returned several times to NZ in later years, but always denied being a spy. He died in 1991, aged 79, in London, still staunch in his communist faith. Petrov also told his Australian interrogators that the Soviets had an important agent in New Zealand, working in the Prime Minister's Department. It is believed Reuel Lochore investigated this claim, with inconclusive results. What interest, Lochore's boss, Alister McIntosh (since 1945, head of the Prime Ministers Department) showed in the futile hunt we can only guess.